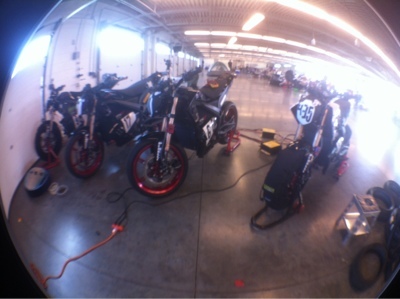 I'm at the 2012 TTXGP North America season finale at Miller Motorsports Park. This morning the teams are getting a little practice time with some of the gas bike groups and this afternoon is the qualifying round. The Zero Motorcycles team is here again with four bikes. Luke told me earlier these normally see duty as Zero's durability test bikes, meaning that some of the individual bikes have over 18,000 miles on them. Next is the Virginia Tech team. The team is working hard on tuning the regen to work well for their rider. He told me the corner speed is close to Brammo's Steve Atlas but on the straights is where he blows them away. Next is Jeremiah Johnson with Be-Ev Racing. His bike is now running but today in practice the controller shut down on him. So he has a lot to work on still. Last is Brammo (but not least, it's just the order I'm doing this). They are of course the top dog this weekend, because neither Lightning nor MotoCzysz are here. They want either to show to have the competition. 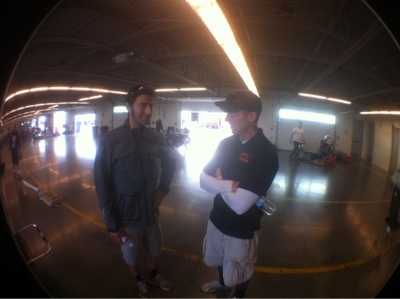 I talked for awhile with Eric Bostrom, because he is new to the team. He has been racing for over 10 years with many factory teams and has done development testing work with many manufacturers. He seems very impressed with the state of Brammo's Empulse RR, especially with their performance at Laguna Seca. He is working with Brammo not just for the races but also in development. He talked about the work to fine tune geometry of things like swing arm, motor location, etc so that anyone can jump on one of their bikes and feel just ride it. 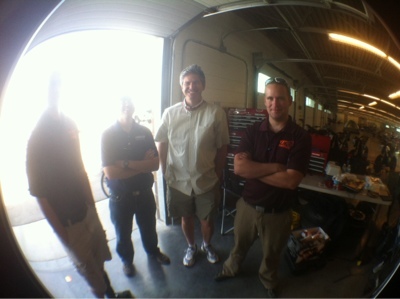 As I'm sitting here engineers from Brammo and Virginia Tech are having a friendly tech conversation about controllers and such. One of the attributes of the TTXGP all along has been the congenial atmosphere between all involved, sharing tools and expertise. The teams are competing against each other but all are competing against the gas bikes. 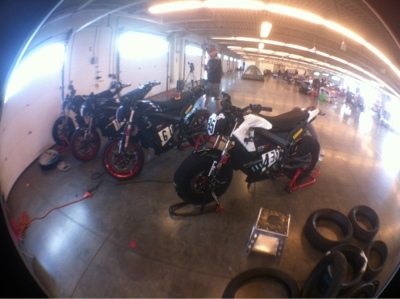 Earlier Brammo went out for practice gridded with a bunch of SV650 and similar bikes. They blew away the gas bike riders considerably.